Calling all Robin Hoods! When was the last time you picked up a bow and arrow? Mine was Camp Ojibwa in Eagle River Wisconsin in 1985! Well, wait no longer, Gotham Archery has a bow and quiver for you. Perfect for any configuration: date, friends, large groups, and even solo. First sign up for an introductory class which are at scheduled times through out the week. After you complete the hour long intro, you may come in whenever suits the group. The intro class is a lot of fun and taught by skilled archers who are very helpful and encouraging. You start from 5 meters (Olympians compete from 70!) and by the end you are in a competition for glory with your classmates! Our friend, Dr. Kim cooly eliminated the opponents and even won a t-shirt, making us proud, with her archery prowess. Before you know it, you will be releasing arrows like the elf archer Legolas from Lord of the Rings! 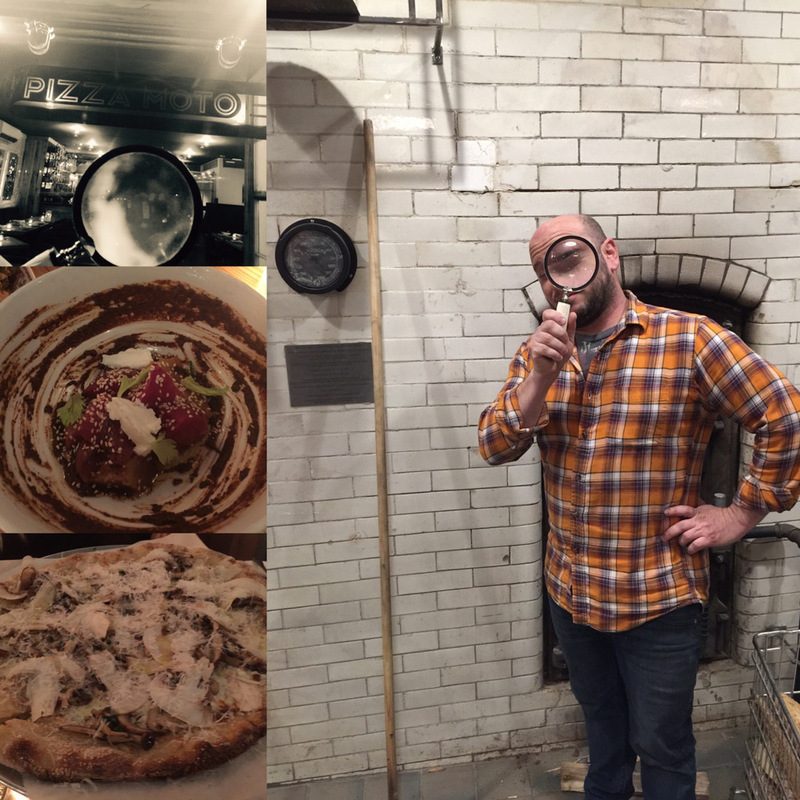 After archery, head over to Pizza Moto, on the border between Carroll Gardens and Red Hook, for a great dinner and contender for NY pizza hall of fame. This is the first bricks and mortar location of the uber popular food truck, which has been serving “bubbly char kissed” Neopolitan pizzas at Brooklyn Flea & Smorgasburg since 2009. The owner Dave found a location with a century old coal oven from a former bakery and ingeniously converted it into an amazing pizza oven. The pizza margarita is great, but more noteworthy are the more innovative combinations like the clam pizza which rivals Pepe’s in New Haven. The other items on the menu are exceptional as well, including Meatball Tartare, Fried Broccoli, and Crispy Chicken. To be a New Yorker in 2016, you must be able to speak Pizza; and therefore, head to Pizza Moto to be able to engage in the Di Fara, Pauly Gees, Keste, Robertas (the list goes on and on) debate. Strike a bullseye, and consider Gotham Archery and Pizza Moto Found!